PRICE LISTED INCLUDES LOT PREMIUM AND OPTIONS. NEW HOME WITH BUILDER'S 2-10 LIMITED WARRANTY! OPEN PLAN WITH PLENTY OF STORAGE SPACE. 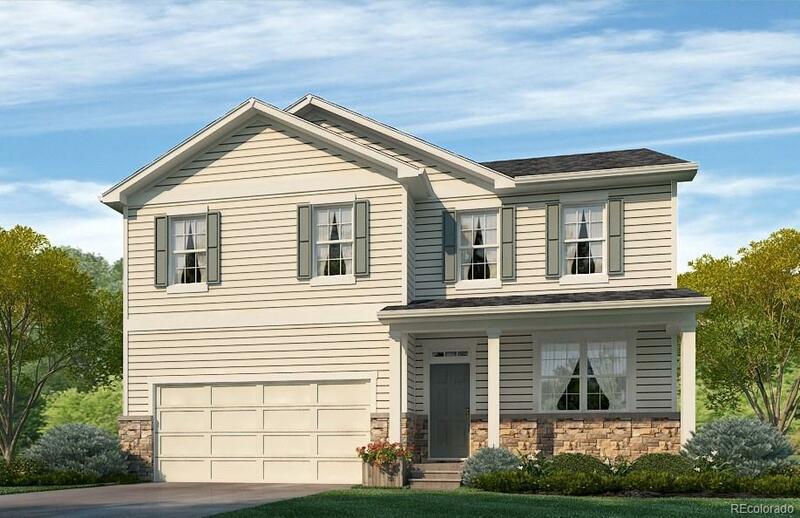 SEE THE MODEL OF THIS HOME AT THE SILVER PEAKS NEIGHBORHOOD. HOME INCLUDES A LOFT AND A STUDY. Easy access to I-76. Only 27 miles to Downtown Denver and 20 miles to Denver International Airport. Minutes from Prairie Center Shopping Center and King Soopers of Brighton. Home is walking distance to new Meadow Ridge Elementary School! Act soon, home will not last! Photos not of actual home.